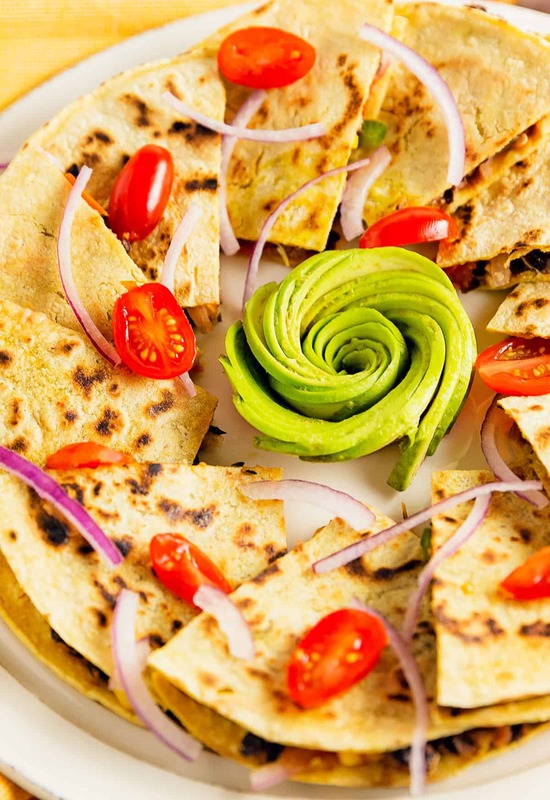 These Quesadillas are quick and easy. They are a meal the whole family will love. The best go-to recipe when you and your family are looking for something fast and satisfying. Whole Food Plant Based, oil free, refined sugar free, no processed ingredients to minimally processed ingredients, and gluten free! 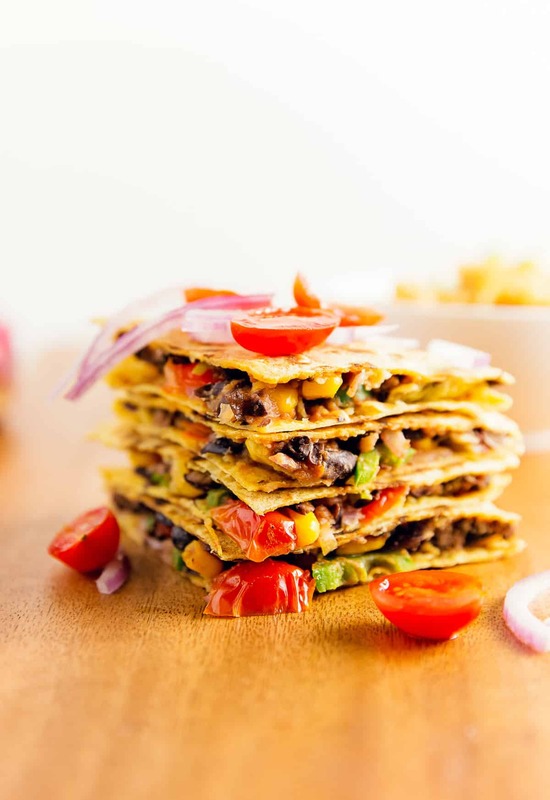 You are going to love how easy these quesadillas are to put together. The simple ingredients, coupled with how quickly this dish comes together makes it a perfect recipe! 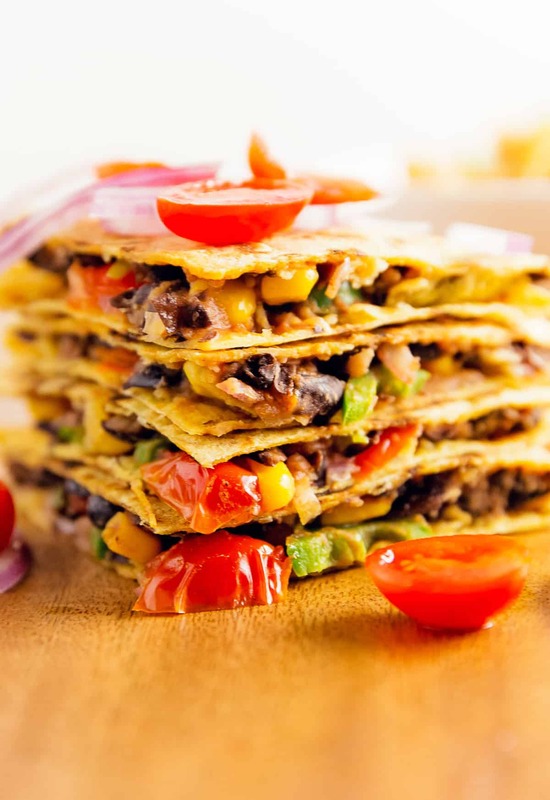 We make quesadillas all the time because it fast and filling, except without the cheese of course, which is kind of oxymoronic since the word “quesadilla” literally translates to “little cheese pastry” in Mexican-Spanish; and our WFPB lifestyle excludes cheese. LOL I think the word quesadilla has become synonymous with two crisped tortilla shells with assorted fillings inside. Spicy Black Beans are glue? We use the simple and Spicy Black Beans and smash them up slightly to use as a glue to keep the two tortillas together, which replaces the cheese part perfectly. Since they are so easy and tasty, we keep them on our regular meal rotation. Mom and I made these quesadillas for Chris and Katie recently. They totally loved them. You simply can’t go wrong with these lovelies. They are so gosh darn good. 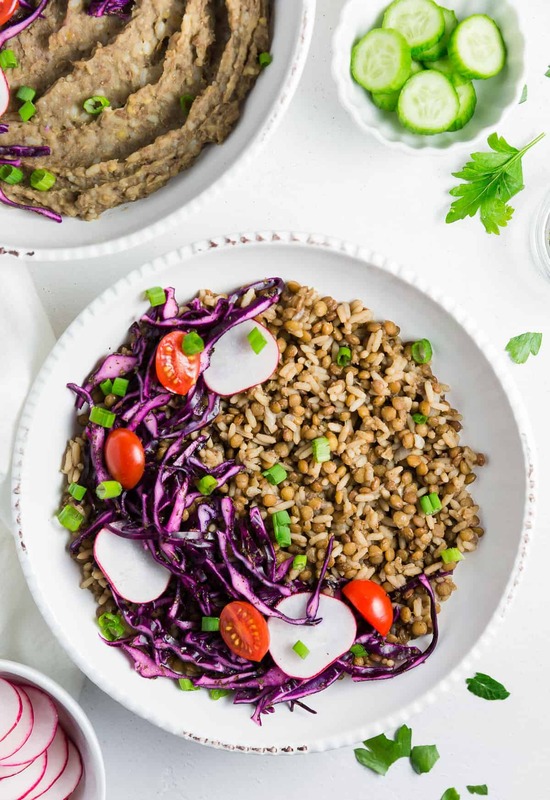 We love to pair this dish with our delicious Mexican Rice for an awesome meal! Another thing I love about this recipe is that you can fill them with virtually anything and not go wrong. You can sauté some bell peppers and onions; they work great as both a stuffing or a topping. Also, you can make some homemade, vegan cheese and melt it inside or over top – delicious! Quesadillas make me happy! 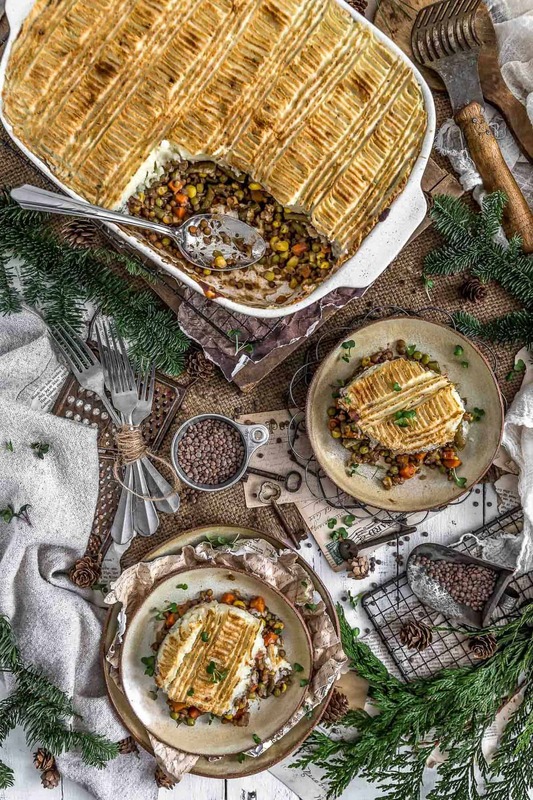 They are the perfect, fast meal when you are trying to get something satisfying and quick on the table for the family. I literally could eat them every day, that is how much I love them. I have a thing for avocadoes! I know, I know, I am not alone, you love them too! They are just simply perfect because they are so creamy, meaty, and healthy. I am always nagging Monkey to make me “avocado flowers.” Why? Just because they are so gosh-darn cute, and I can’t make them as pretty as she does. She is definitely a food artist. Monkey says this all the time and it’s true. You will have much greater success at getting people to try new foods if it looks visually pleasing. Additionally, if something looks tasty, our brain has already sent signals telling us that the food is going to taste great even before we have had our first bite. 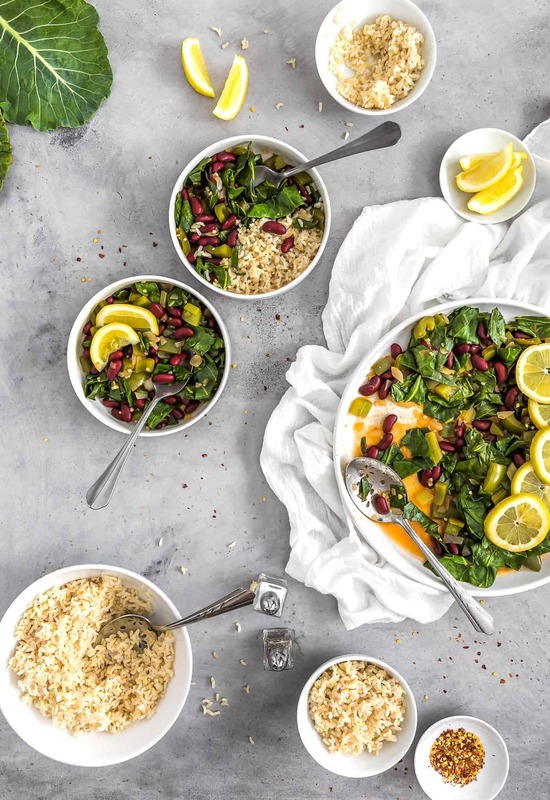 If you are looking to transition people to the Whole Food Plant Based Diet, take a few extra moments to make the food look beautiful. Beautifully crafted food is hard to resist. 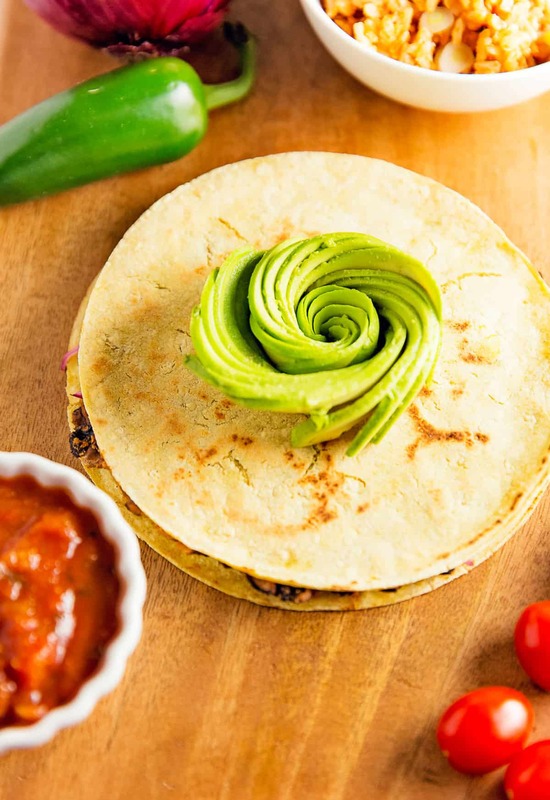 These Quesadillas are quick and easy, and a meal the whole family will love. The best go-to recipe when you and your family are looking for something fast and satisfying. Whole Food Plant Based, oil free, refined sugar free, no processed ingredients to minimally processed ingredients, and gluten free! Chop and prepare the tomatoes, jalapeno pepper, avocado, and red onions. Heat a cup of the Simple & Spicy Black Bean leftovers in the microwave, then coarsely smash them with a fork or potato masher. One cup of beans makes approx. 4 “quesadillas”. On a plate, lay down a corn tortilla. Place approx. 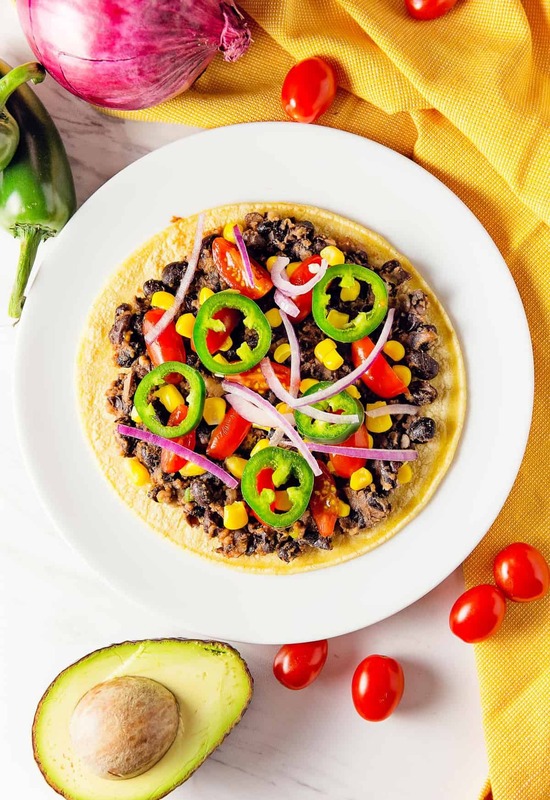 ¼ cup of the smashed Simple & Spicy Black beans onto the corn tortilla, spread them out evenly in a thin layer, and press down firmly to ensure the beans stick to the tortilla. Next add the tomatoes, corn, jalapeno peppers, and red onions on top of the black beans. Repeat for as many tortillas as you want. Heat a nonstick skillet over medium heat. 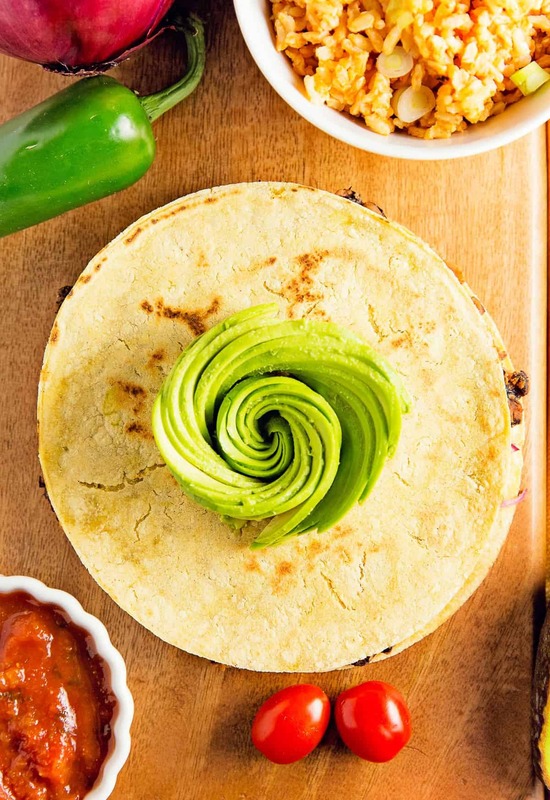 When the skillet is hot, slide the loaded tortilla from the plate onto the hot skillet, add a corn tortilla on top, and press down firmly, creating a thin “quesadilla”. Heat for approx. 4 minutes. Repeat the cooking process with the remaining “quesadillas”. 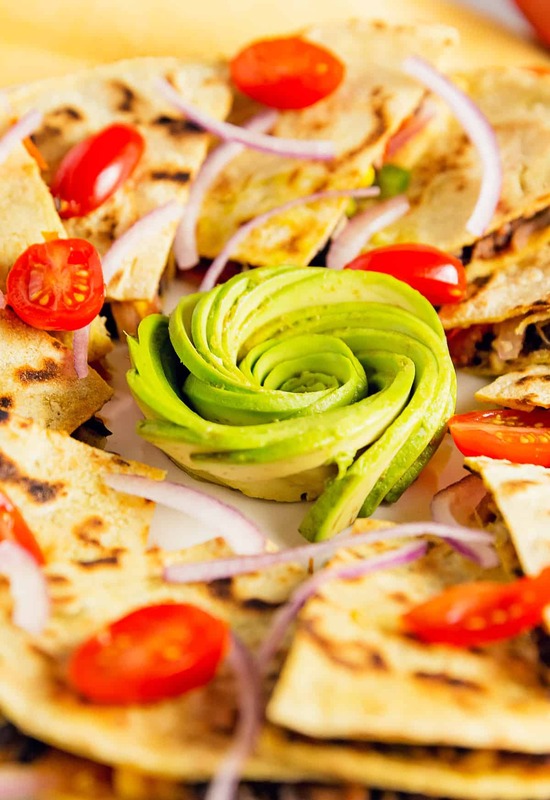 Cut the “quesadillas” into fourths and serve with avocado slices and salsa. *Thin Edged Spatula: Using a large thin edged spatula helps flip the “quesadillas” over. The large spatula will stabilize the flipping process. Flip slowly and purposefully, unlike pancakes which typically require quick flipping action. *Nonstick Skillet: Select a nonstick skillet, typically, a copper lined skillet works very well. *Smashing the Beans: Coarsely smash the beans. Smash about third, leave a third partially smashed, and the remainder intact. The beans act like the glue to keep everything together. Don’t worry if they aren’t completely glued together. 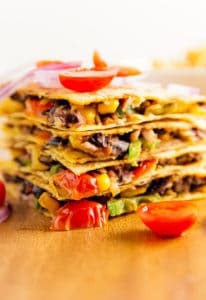 *Thin “Quesadillas”: The temptation is to really load up the “quesadillas”, but the key to a beautiful “quesadilla” is to keep them thin, so don’t pile them high. Keep them thin. *Two Skillets: If you are making “quesadillas” for a crowd, this recipe makes 4, so you will need to adjust your ingredients accordingly. Additionally, consider using two nonstick skillets. Prepare all your “quesadillas” on plates, and heat two skillets and cook 2 at a time. Just make sure you are really focused on watching your “quesadillas” so they don’t overbrown. Storage: Cool to warm, place in glass/plastic storage and refrigerate. Use within 3 days.